What if hospitals were run like a mix of Wal-Mart and a low-cost airline? The result might be something like the chain of “no-frills” Narayana Hrudayalaya clinics in southern India. “Today healthcare has got phenomenal services to offer. Almost every disease can be cured and if you can’t cure patients, you can give them meaningful life,” says company founder Devi Shetty, one of the world’s most famous heart surgeons. “But what percentage of the people of this planet can afford it? 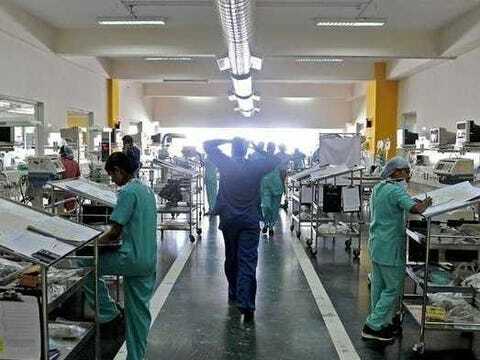 A hundred years after the first heart surgery, less than 10 percent of the world’s population can,” he told AFP from his office in hi-tech hub Bangalore. AFPIn this picture taken on February 7, 2013 hospital staff work at one of the post-operative paediatrics observation and care units of the Narayana Hrudayalaya cardiac-care hospital in Bangalore. A group of Indian doctors believe they can cut the cost of heart surgery to an astonishing 800 USD at their “no thrills” low-cost hospital. Already famous for his “heart factory” in Bangalore, which does the highest number of cardiac operations in the world, the latest Narayana Hrudayalaya (“Temple of the Heart”) projects are ultra low-cost facilities. 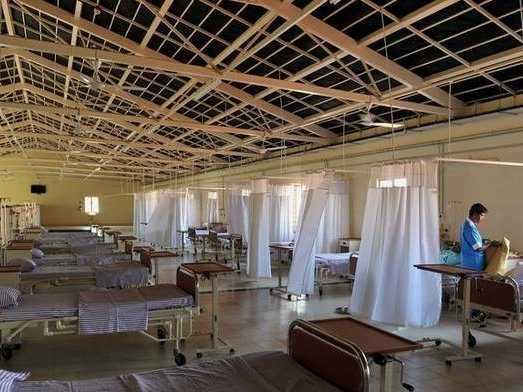 “Near Stanford (in the US), they are building a 200-300 bed hospital. They are likely to spend over 600 million dollars,” he said. “There is a hospital coming up in London. They are likely to spend over a billion pounds,” added the father of four, who has a large print of mother Teresa on his wall — one of his most famous patients. The Mysore facility represents his vision for the future of healthcare in India — and a model likely to burnish India’s reputation as a centre for low-cost innovation in the developing world. Manjunath Kiran/AFPMedical staff at the Narayana Hrudayalaya, cardiac-care hospital in Mysore, on February 20, 2013. A group of Indian doctors believe they can cut the cost of heart surgery to an astonishing 800 USD at their “no thrills” low-cost hospital. Each will owe its existence to Shetty’s original success story, his pioneering cardiac hospital in Bangalore which opened in 2001. In the cramped waiting room, families from across South Asia wait for appointments with the boss who juggles them between stints in theatre. “We saw him on TV recently and we could see his commitment to poor people and middle-class people like us,” said Ranjan Bhattacharya, a civil servant, who had brought his ill wife 2,000 kilometres (1,200 miles) by train from northeast India. “Essentially we realised that as you do more numbers, your results get better and your cost goes down,” he said. 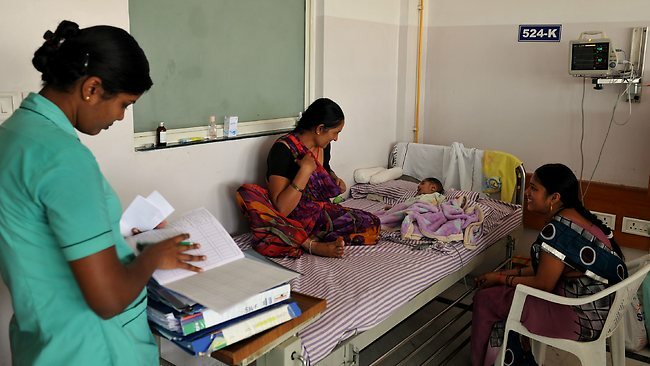 A lack of private insurance and a public system that has “collapsed” according to the country’s rural development minister means an estimated 70 percent of healthcare spending is borne by Indians out of their own pockets. “The current regulatory structures, the current policies and business strategies (for healthcare) that we have are wrong. If they were right, we should have reached 90 percent of the world’s population,” he said.